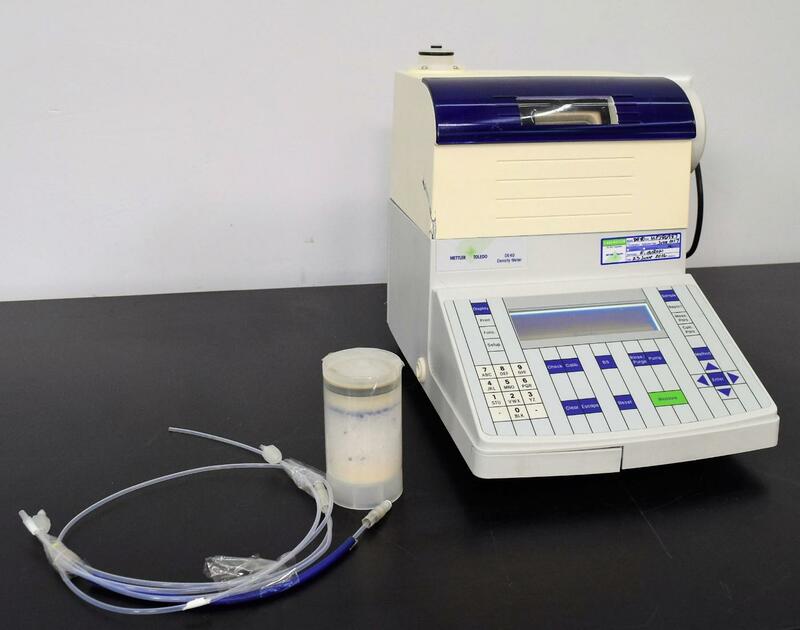 Mettler Toledo DE40 Gas Liquid Density Meter Analytical Specific Gravity . New Life Scientific, Inc. This is unit is not in production anymore, but for a lab that already has one this would make an excellent backup unit or starter unit. It has some cracked damage as shown, but does not affect its ability to function. This unit is tested with dry air gas and gave accurate readings. - Tested with air and density was correct. Our in-house technician inspected and tested this Mettler Toledo DE40 analyzer to power on and pass initialization.Technician tested with dry air (gas). The density was appropriate with reference table in the product manual for the ambient temperature. No further testing was performed and the technicians are not equipped or qualified to offer additional services on this product. This unit would be a good back-up unit for a laboratory that already has one. This product was powered on and performed a sample reading that was comparable with the accepted results published in the manual (not included).